According to a new book due to be released this month, Apple CEO Tim Cook offered a part of his liver to a dying Steve Jobs. Becoming Steve Jobs excerpts of which have been published online throws light on life inside Apple as it grew into one of the world’s most powerful technology companies. The book also charts the relationship between Tim Cook and Steve Jobs. According to the book, Steve Jobs angrily turned down Tim Cook’s offer. 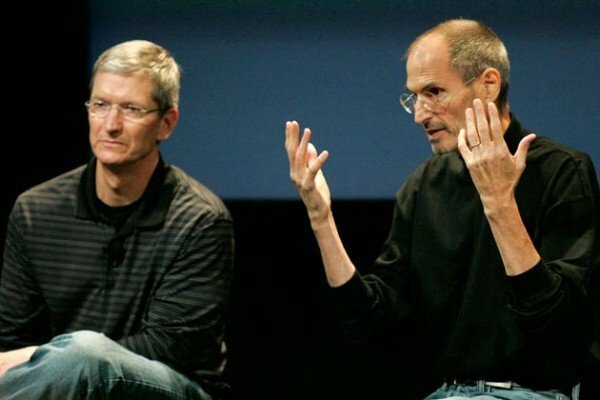 In 2004, Steve Jobs announced that he was suffering from pancreatic cancer and by 2009, the Apple chief executive was very ill, unable to come into the office and waiting for a liver transplant. Tim Cook regularly visited Steve Jobs at home and after one visit he “left the house feeling so upset that he had his own blood tested”, according to excerpts published by Fast Company executive editor Rick Tetzeli, who co-authored the book. Fellow author Brent Schlender is a journalist who interviewed Steve Jobs several times throughout his life. Tim Cook found out that he, like Steve Jobs, had a rare blood type, and guessed that it might be the same. According to the book, Tim Cook went through a series of tests and discovered that a partial liver transplant was feasible. When he shared the news with Steve Jobs, the dying Apple boss reacted angrily, according to the book. “He cut me off at the legs, almost before the words were out of my mouth,” an excerpt says. “Steve only yelled at me four or five times during the 13 years I knew him, and this was one of them,” Tim Cook added. Steve Jobs did go on to have a liver transplant, in March 2009. He resigned as Apple chief executive in August 2011 and died in October at the age of 56. The book also reveals that Steve Jobs contemplated buying Yahoo as a way for Apple to get into the search business. Parts of the new book contradict an earlier biography written by Walter Isaacson. In that book Walter Isaacson claims that Apple was contemplating creating a television – but according to Becoming Steve Jobs, the Apple founder had little interest in this.